I cant stop wearing my watch/bracelet combo, I am so in love with it! 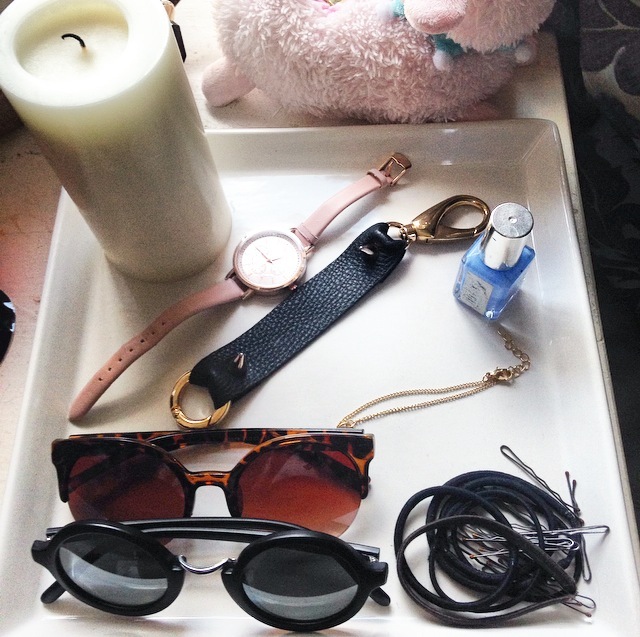 I bought that cute tray from Ikea which I am loving to lay my accessories on to keep them safe. The candle is j chilling on their too, its scent is vanilla which is one of my faves. I am tempted to get a Christmassy smelling candle fairly soon because I love being cosy in bed with spiced cinnamon/apple scent.